Ah, that new car smell…. 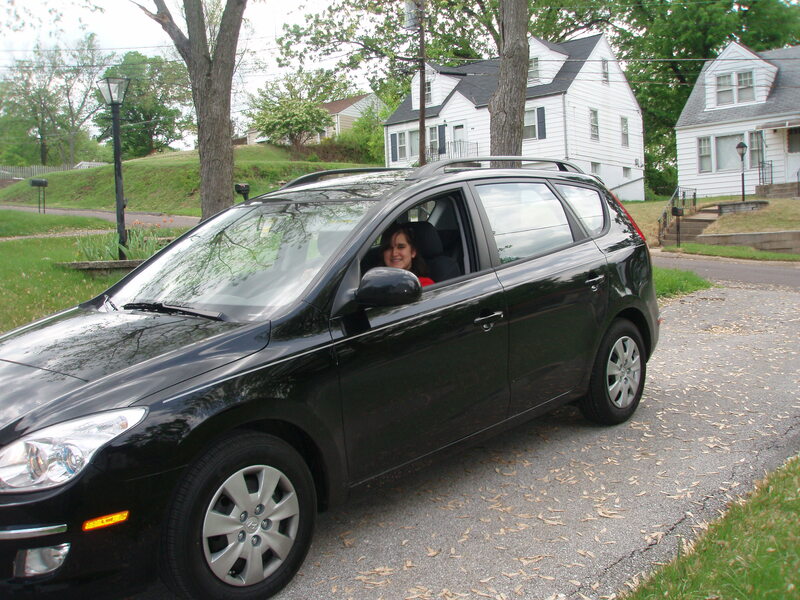 So after a stress filled week and a half with only one vehicle for the two of us, we purchased a new car for Sasha. It’s been two and a half weeks now, and we are throughly satisfied with our decision. 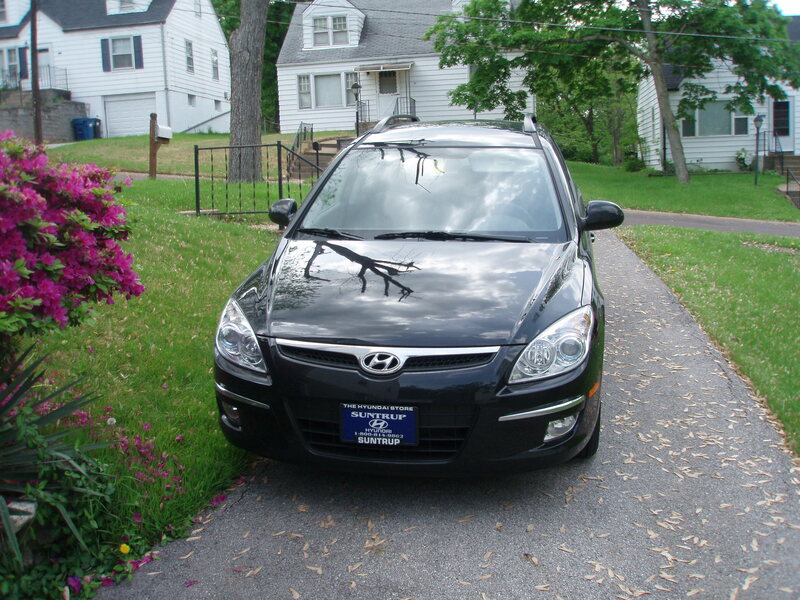 We ended up with a black 2010 Hyundai Elantra Touring GLS. And for those of you who see the “touring” tacked onto the Elantra and wondering what that means, it means wagon. Yes, we bought a station wagon. No, we are not having a baby. We were tired of both having little 2 door coupes that were a pain for friends to get in and out of when we were offering rides somewhere. Even though my Celica could hold a surprising amount of stuff, we were still looking for something that could hold slightly larger stuff without being full SUV sized. The fact that it’s highly rated for both safety and reliability didn’t hurt either. It’s got several fancy little fun features that neither of us have had before: steering wheel audio controls, sunglass holder, heated side mirrors, etc. 138 horsepower gives it just enough oomph, but has allowed us to be able to average just about 28 mpg for the 800ish miles we’ve put on it. Although she was very sad to see “her car” go forever, I believe Sasha will give our ET the love it deserves. 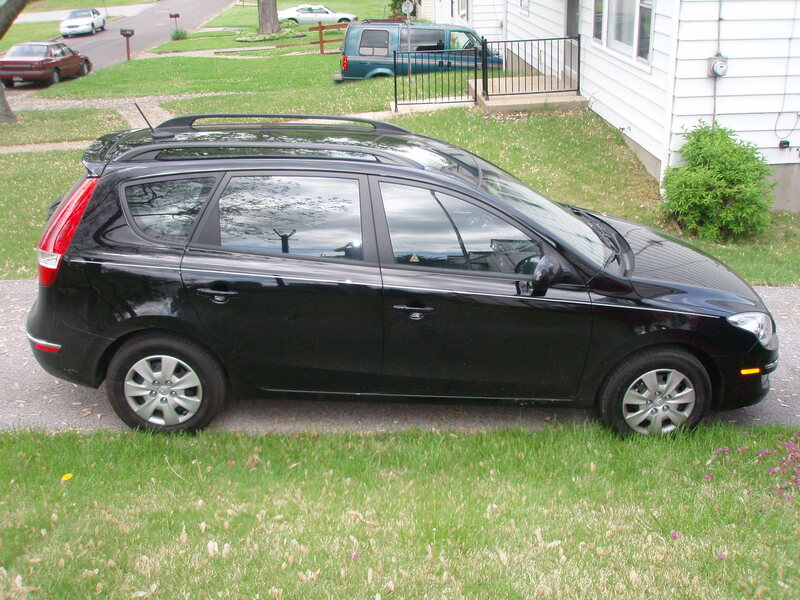 …and now the fun of trying to figure out how to register a new car in St. Louis County. Thanks for posting these pics, Jonathan!